Melody lives with her husband and two boys in the Caniugan Barangayn in northern Philippines. She said she was aware of Typhoon Mangkhut before it made landfall as she had been following local television warnings. They only had room to bring the minimum as there wasn’t space in the centre for people to bring many belongings. Around 200 families sought shelter in the evacuation centre, a local church. But the construction of the church was not strong enough to cope with the 200kilometre winds. Part of the roof blew off, and a large window shattered inwards, striking Melody. When Melody left the evacuation centre to return home, their house was almost completely destroyed. Most of the walls were gone, all that remained was of the roof was four sheet of corrugated iron. Melody received a ShelterKit, solar lights, and hurricane strapping to help them rebuild their home. The storm tore down the electricity that Melody’s family previously relied on. Solar Power lights however were able to provide the family with light during the two months that it took to restore power. 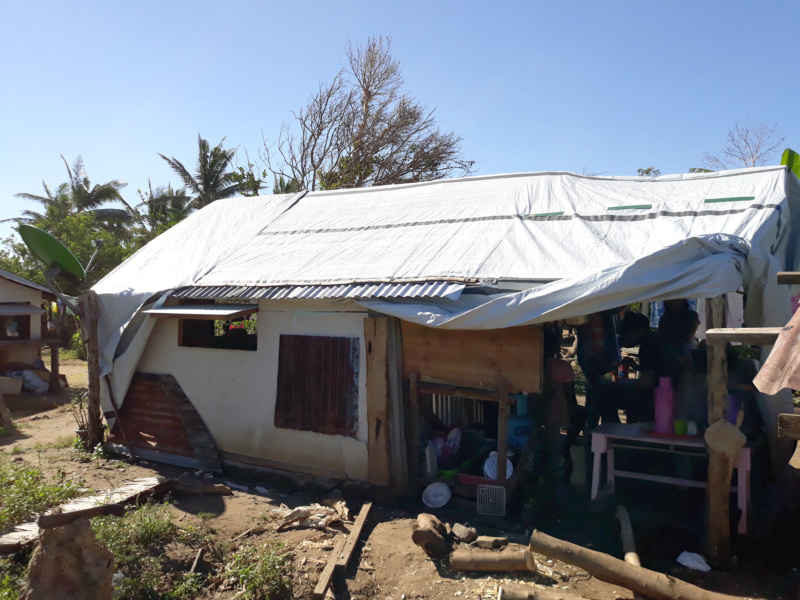 Together, the family used the tarpaulin in the ShelterKit to construct a temporary shelter. 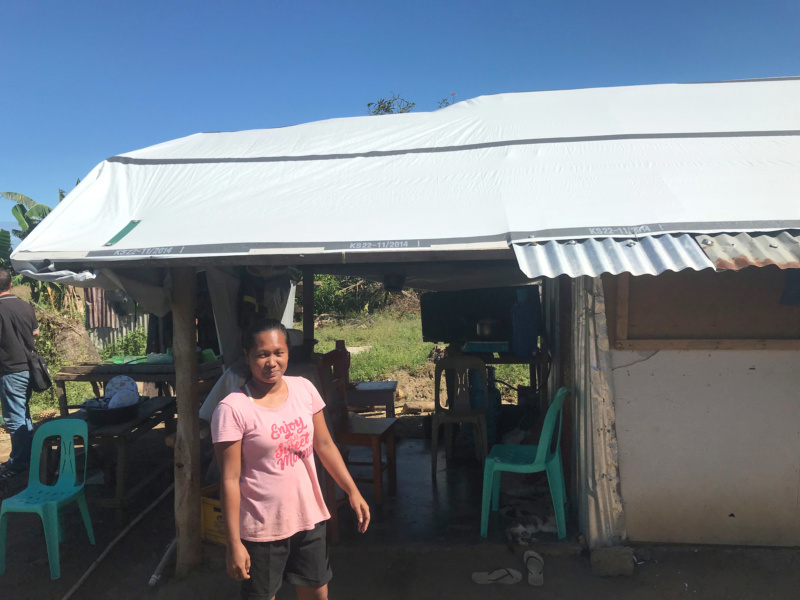 Melody says the materials in the ShelterKit allowed her family to remain safe when Typhoon Rosita struck their home again at the end of October. Melody said she doesn’t think they would have been protected from the second storm without the ShelterKit.